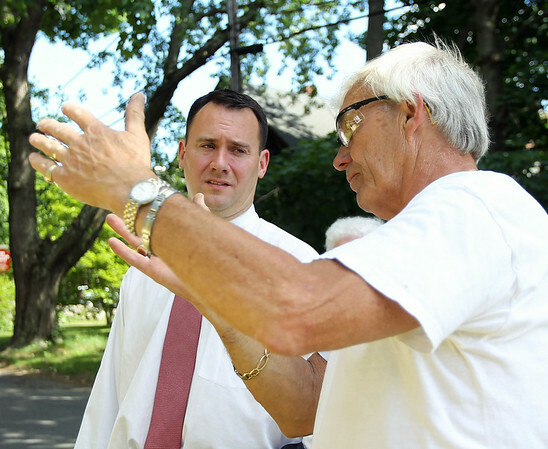 Tom Zellen, right, talks about the roof repairs on the Nathaniel Felton Sr. House with Peabody Mayor Ted Bettencourt on Thursday afternoon. DAVID LE/Staff photo. 6/19/14.